We are highly reputed organizations engaged towards delivering certified range of Car Top Harness. The Primary Objective of Popular Systems is to Manufacture High Quality Assembly Wiring Harnesses. the Main Agenda of the Company Since Inception Has Been to Provide Its Customers with World Class Products at Competitive Prices and Fortify Consumer Trust. Our company engaged in offering a quality range of Car Audio Wiring Harnesses to our most valued clients. The offered product is manufactured using high quality raw material and advanced technology. 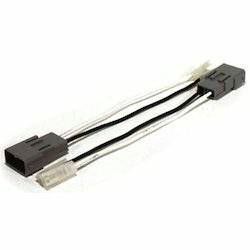 These car audio wiring harnesses are tested on various quality parameters to ensure high performance at vendor’;s end. We have been engaged in providing many kinds of automobile products which include Car Speaker Wiring Kit.